SAN ANTONIO, TX — The LPRT will headline the ‘Battle at the Alamo’ Regional Tournament, which will take place on April 22-24, 2016. The best professional racquetball women in the world will be playing for $12,000 in prize money in singles, and $3,000 in doubles. In addition, the IRT has $3,000 in prize money. Also featured are Amateur Open Divisions, which offers $4,000 in prize money. 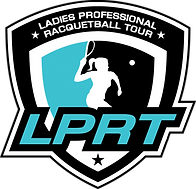 Many racquetball stars will be featured in the LPRT tournament. Names include Paola Longoria, Cristina Amaya, Rhonda Rajsich, Maria Jose Vargas, Frederique Lambert, Samantha Salas Solis, Alexandra Herrera, and Sofia Rascon. It will be a star-studded event!